Batting: Chris Lynn 49 off 34 balls, Dinesh Karthik 29 off 27 balls. Bowling: Bhuneshwar Kumar 3/26 in 4 overs, B Stanlake 2/21 in 4 overs, Shakib Al Hasan 2/21 in 4 overs. Target: 139 runs in 20 overs. Batting: WP Saha 24 off 15 balls, Kane Williamson 50 off 44 balls, Shakib Al Hasan 27 off 21 balls. Bowling: Sunil Narine 2/17 in 4 overs, PP Chawla 1/20 in 4 overs, Kuldeep Yadav 1/23 in 4 overs. 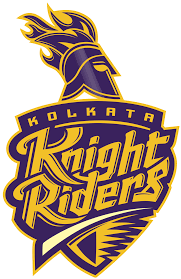 It was a match between Sunrisers Hyderabad and Kolkata Knight Riders. The Sunrisers hadn’t lost a match yet while the Kolkata had 1 win from two matches so far. So, Sunrisers won the toss and chose to bat first on this pitch. It seemed like KKR had shuffled their batting order as Uthappa and Lynn walked out to open for KKR. This approach did not suit KKR as Sunrisers struck early and removed Uthappa in the 3rd over of the match. After that a nice partnership was shared between Chris Lynn and Nitish Rana to stabilize KKR’s innings. After that there was a brief delay in the match due to heavy rain in Kolkata. After play resumed, Stanlake struck as he removed Nitish Rana after the batsman had only scored 18 runs. The pinch hitter Sunil Narine came to the crease but his stay was cut short by Shakib who claimed his wicket in the 11thover. After that no batsman except Dinesh Karthik could hold his ground as the Sunrisers claimed wickets at regular intervals of the match. The most impressive bowler from the Sunrisers was Bhuneshwar Kumar who took 3 wickets. He was followed by Shakib and Stanlake who took 2 wickets each to restrict Kolkata to a total of 138 in 20 overs. The Sunrisers now only needed 139 runs and keeping in mind their batting strength it was piece of cake for them. So, the Sunriser’s openers Shikhar Dhawan and WP Saha walked on the ground. And, just as expected Saha and Dhawan gave their team a flying start before Narine struck in two successive to get rid of the openers. But the match was still in Sunrisers hand as they needed 93 off 89 balls with 8 wickets in hand. Kane Williamson and Manish Pandey had to compete the job from here on. However, it seemed like Kolkata had found their talent in spin bowling as Kuldeep struck in the 9th over to send Sunrisers 3 wickets down. A strong partnership between Shakib and Williamson was taking the match away from Kolkata. But, Chawla and Johnson struck in consecutive overs to make the match more interesting. However, the ex KKR player Yusuf Pathan sealed it with a six in the second last over as Sunrisers remained unbeaten in this IPL.